In October of 1844, a small bomb went off in the world of British science. The bomb took the form of a 400-page book with the grand title Vestiges of the Natural History of Creation, presenting a comprehensive account of the history of the Earth, from the formation of the Solar System through the development of plant and animal life, up to the origins of humankind. Strangely, there was no author's name on the cover. The book sold remarkably well -- over 20,000 copies in a decade, making it one of the best-sellers of its time. Abraham Lincoln and Queen Victoria read it; so did poets like Alfred Tennyson and Elizabeth Barrett Browning, statesmen like William Gladstone and Benjamin Disraeli, scientists like Thomas Henry Huxley and Adam Sedgwick, and philosophers like Arthur Schopenhauer and John Stuart Mill. Critical responses ran the gamut from enthusiasm to damnation. "Like a breath of fresh air to workmen in a crowded factory," said the politically liberal medical journal, the Lancet. Physicist Sir David Brewster warned that Vestiges stood a "fair chance of poisoning the fountains of science, and sapping the foundations of religion." 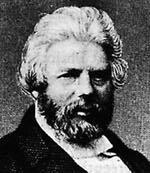 Scottish journalist and geologist Hugh Miller, never a man to avoid an argument, published an entire book, Foot-Prints of the Creator, as a rebuttal to Vestiges. Charles Darwin called it "that strange, unphilosophical, but capitally-written book," and wryly noted that a few people had suspected him of being the author. Thomas Henry Huxley penned one of the most venomous book reviews of all time: the book was a "once attractive and still notorious work of fiction," its author one of "those who. . . indulge in science at second-hand and dispense totally with logic." And still the book sold well, and influenced Victorian science, art, and public opinion. Who had written it? And why did it evoke such strong reactions? Not until 1884 was the author officially revealed to be Robert Chambers, one of the most successful publishers in Britain. 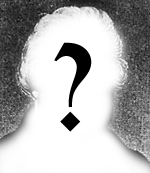 Chambers had chosen anonymity for a very pragmatic reason: he feared, and with reason, that the controversy over the book would hurt his publishing business. Chambers's interest in science was well known, and a few people -- including Charles Darwin -- had already guessed that he was "Mr. Vestiges." However, only seven people were told who the author was during Chambers's lifetime. Robert Chambers was born in the small town of Peebles in Scotland. Though his family was fairly well-off at first, the collapse of his father's business pushed the family into poverty. In 1818, Robert and his older brother William took a few cheap Bibles and schoolbooks and set up a book stall on an Edinburgh street. The brothers managed to survive and expand their business, until W. & R. Chambers had become one of the most successful publishing houses in Britain. The firm printed books of general interest, and helped feed the growing taste for popularizations of science and culture. Both brothers wrote as well as published, producing the well-known weekly magazine Chambers's Edinburgh Journal. Robert's main interest was at first Scottish history and folklore; he even wrote a book on Scottish humor. Meanwhile, he had taught himself the basics of geology and botany, and was strongly influenced by Lamarck and Buffon. His motivation for writing Vestiges was in part to open up the question of evolution by natural law to serious scientific discussion. In a supplement to the Vestiges first published in 1845, titled Explanations, he wrote of the Vestiges: "I said to myself: Let this book go forth to be received as truth, or to provoke others to a controversy which may result in establishing or overthrowing it. . ."
But what was in this controversial book? It began with an explanation of the nebular hypothesis of the formation of the Solar System, and went on from there to present a grand picture of the progressive evolution of life on Earth. Chambers's practical experience with science was limited, and he included much in this book that more experienced scientists found ludicrous. He accepted, and reported at some length, the experiments of one Mr. W. H. Weekes, who claimed to have generated living mites by passing electric currents through potassium ferrocyanate solution. He saw biological evolution as steady upward progress, governed by unknown laws. . . Chambers's book contains little that proved of lasting scientific value. Yet it demonstrates that many of the concerns that Darwin was thinking about were well known to the British public. It showed Darwin what obstacles he would have to overcome to win wide acceptance for his own theory of evolution.